Blended with Pure, Homegrown Garlic! Create flavor-packed meals without the fuss of mincing messy garlic. 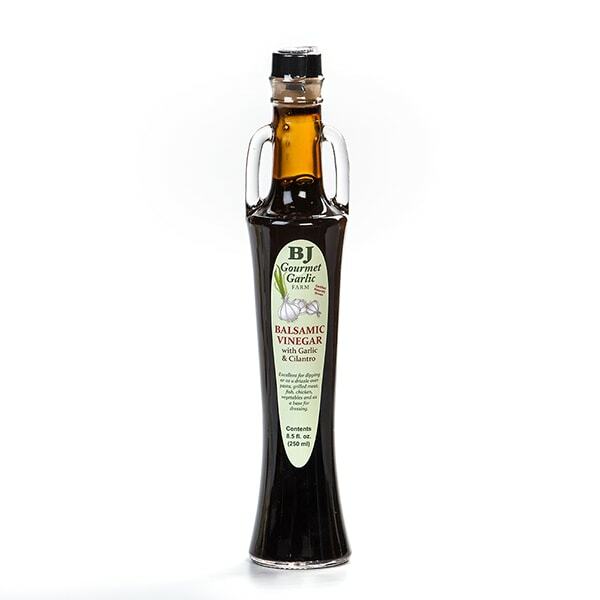 This balsamic vinegar is made from Italian balsamic that has been aged in oak, cherry, and ash barrels for 17 years. It's then infused with Music garlic (grown naturally in Ohio) and cilantro. Drizzle over pasta, meats and vegetables, or use as a dipping sauce or dressing. While more and more garlic is being imported, one family farm sticks to tradition and grows their own here in Ohio. Their hard neck garlic is planted and harvested by hand, using chemical-free methods that have been passed down in the family. Ingredients: Balsamic vinegar of Modena, Garlic, Cilantro.